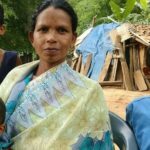 Speak to anyone involved in advocating on behalf of persecuted Christians around the world and they’ll tell you it’s often difficult to get a hearing. Many inside the Church are actively engaged with the issues – eagerly praying, signing petitions and donating to anti-persecution charities. Yet it can sometimes seem that, despite horrific stories of persecution in places like Iraq, Syria and Pakistan, the rest of the world doesn’t really care. Given this context, it’s all the more remarkable that a story about persecuted Christians in Japan during the 17th century is being tipped for multiple Oscars. 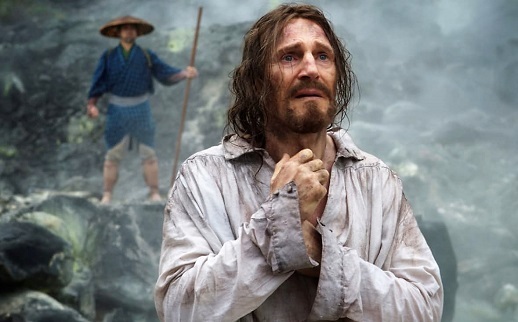 Silence is based on Shūsaku Endō’s 1966 novel of the same name and follows two Portuguese Jesuit priests – Rodrigues (Andrew Garfield) and Garupe (Adam Driver) – as they travel to Japan to find their mentor, Father Ferreira (Liam Neeson). Failing to find Ferreria, the two missionary priests busy themselves ministering to tiny communities of heavily persecuted Christians. While the plot isn’t based on a true story, the general context of the film very much is. A historical overview can be found in the book In Search of Japan’s Hidden Christians (SPCK) by John Dougill, which reveals the extraordinary story of the Church in Japan. 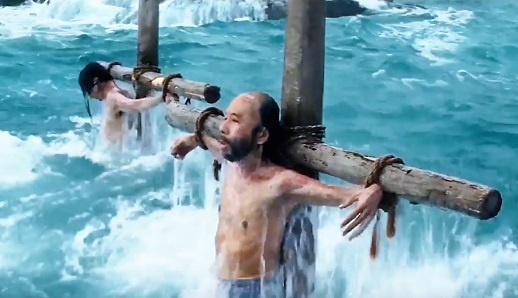 Throughout the film we witness Japanese men and women being told to spit on a crucifix, or stamp their foot on an image of Christ in order to prove they’re not Christians. Refusal to do this will result in torture and death. They will have boiling water poured over them. They will be crucified. Or they will be burned alive. The young missionaries are overwhelmed by the strength of the faith they encounter in Japan. Despite the threat of martyrdom, the Christians there hold fast to their beliefs in a way that puts the comfortable Westerners to shame. But it’s not just about asking if we’re willing to suffer for our beliefs. The film raises a myriad of other questions, including, “Why is God silent in our suffering?” Importantly, the premise for all of these deep questions is that religion should be taken seriously. The most challenging character in the film is Kichijiro (Yôsuke Kubozuka), who constantly flip-flops between claiming to follow Christ, and denying him. This Judas-like figure betrays Rodrigues, then later asks his forgiveness. Minutes later we see him again denying his faith. And yet he still dares to beg for absolution. This pattern of behaviour continues throughout the film. Kichijiro represents our fickle human hearts. He’s the character we’re supposed to identify with the most. Silence is the passion project of one of the world’s most respected directors – 74-year-old Catholic Martin Scorsese. His lifetime in film has rightly earned him the respect of worldwide audiences, who have flocked to his major box office hits, such as The Wolf of Wall Street, Goodfellas, Gangs of New York and The Departed. It means that people who don’t typically know about (much less care about) Christian persecution are going to show up in cinemas this January and be confronted with it in this magnificent film. Scorsese has been desperate to tell this story since reading Endo’s novel three decades ago. The reason it’s been a long time coming is because Silence isn’t the sort of Hollywood fare that financiers queue up for. It’s long, slow and brutal. It also treats faith in a serious and complex way. But all of these elements are necessary in a film which aims to communicate the darkness that Japanese Christians faced. The bulk of this 160-minute production focuses on the ultimate price that so many paid for their faith, but in the final minutes the focus of the film turns away from the heavy topic of persecution. Instead, we’re treated to a philosophical meditation on the meaning of apostasy and doubt. The shocking and engaging finale will add yet more questions in the viewer’s mind. 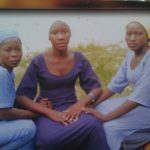 God appears silent most of the time when his people face suffering and persecution. This is the reality that the vast majority of the film represents. However, in its final moments Silence does acknowledge that God speaks in the midst of our suffering. It also dares to use Christian terminology and phrases – to the point that secular audiences might struggle to understand the depth of theology that’s been discussed in the film. At the start of 2017 the Church has been given an unprecedented opportunity to have its untold story made public by Scorsese. Christians should flock to their local multiplex this January. Rarely has a film been made that so clearly represents one of the most pressing concerns for the worldwide Church. Watch, be moved and refuse to be silent.